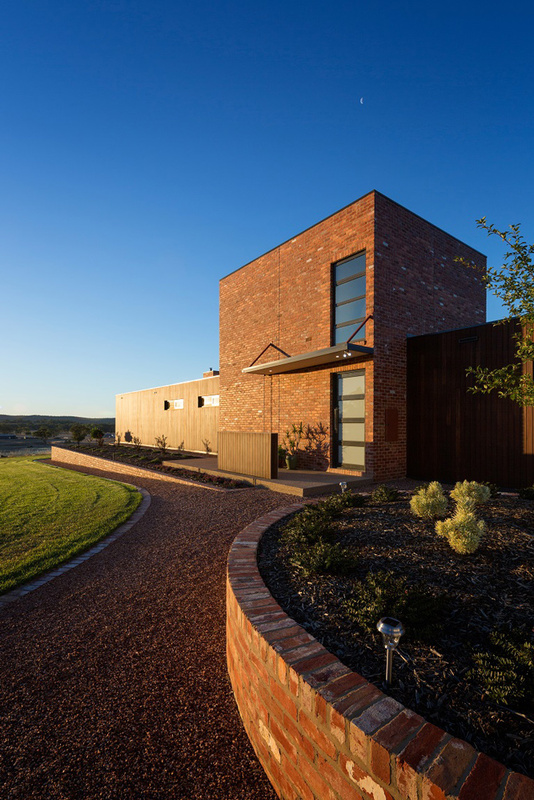 This uncompromising rural retirement house combines luxury living with eco credentials. 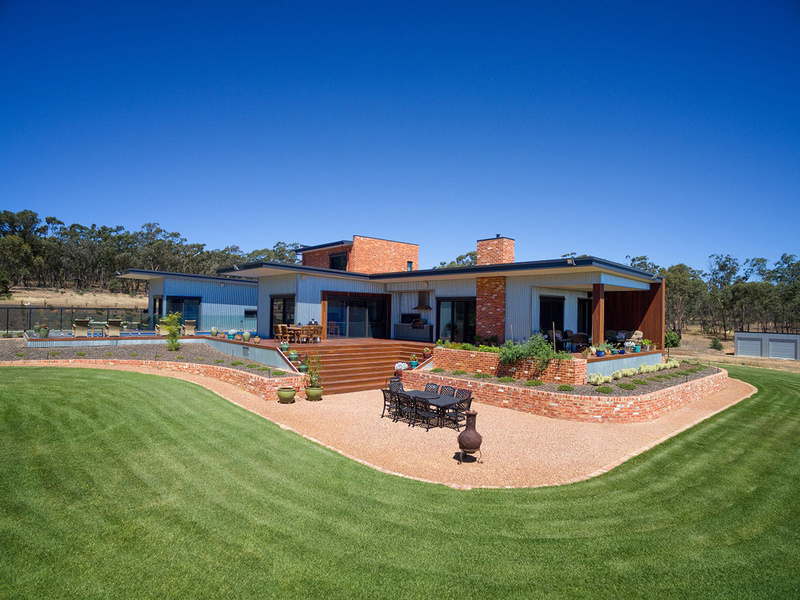 This ideal family-oriented entertainer’s home is designed to take full advantage of the site’s natural beauty with generous open plan indoor living and sweeping decks for outdoor entertaining making the most of the lovely north and westerly views. The home has three bedrooms, study, home theatre, lap pool, and even a snake-proof outdoor enclosure for the pets! 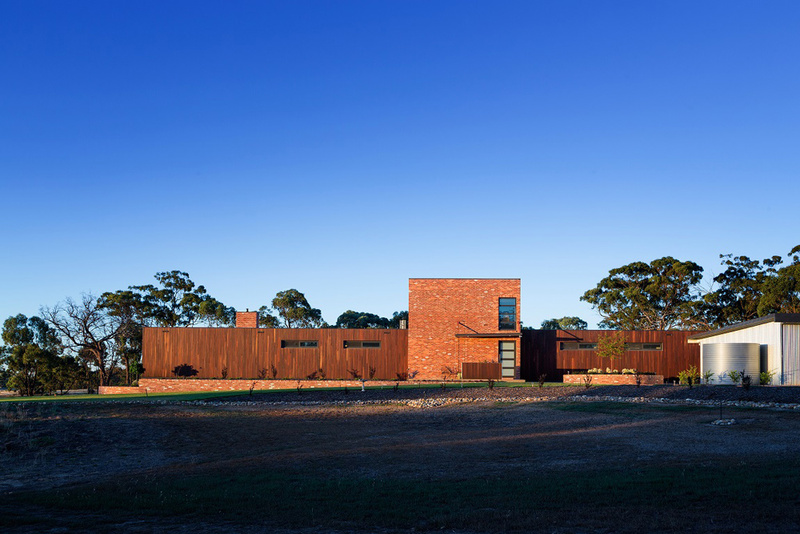 Designed for low maintenance living utilising recycled brick, corrugated iron, and spotted gum timber cladding, the home blends well into the landscape, while the deep eaves and electric powered external shade blinds manage heat gain. 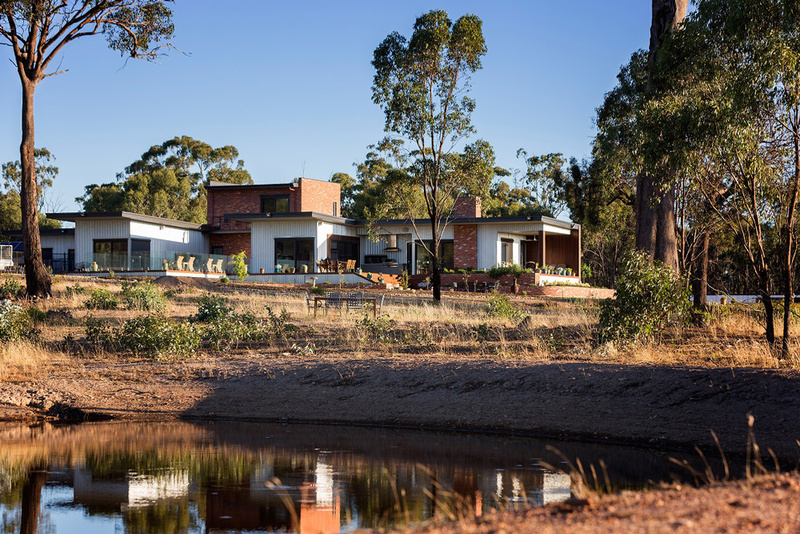 Featuring a 10kw solar power system, this luxury country home is completely electric run: an off grid and self sufficient home design.